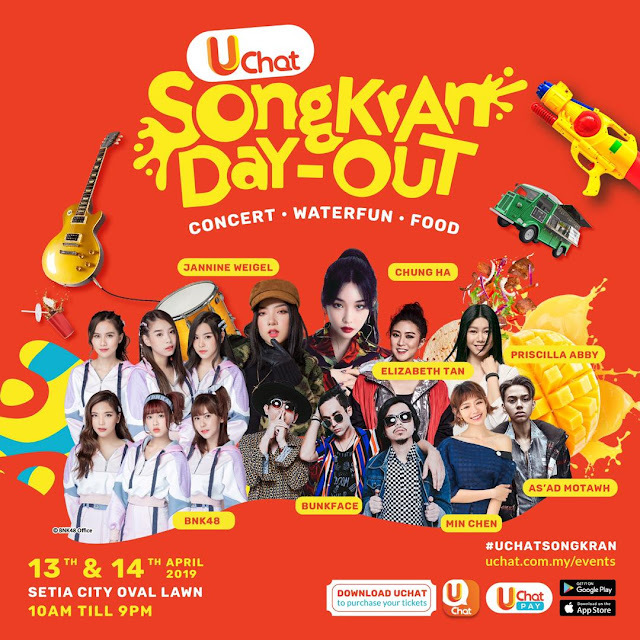 Brought to you by UChat, Malaysia’s first 2-in-1 messaging and e-wallet app developed by i-Serve, the fun-filled weekend features a 2-day concert with international and local acts, exciting water-themed activities, and a variety of food trucks to fill your hunger. All transactions on that weekend will be completely cashless via UChatPay. The concert headliners include K-pop star Chung Ha, Thailand idol girl group BNK48 that is the sister group of Japan’s AKB48, and German-Thai singer Jannine Weigel. The concert is also supported by Malaysian acts, namely rock band Bunkface, the popular singer and actress Elizabeth Tan, Taiwan-based Malaysian artiste Min Chen, rising EDM-Mandopop singer Priscilla Abby, and vogue young star As’ad Motawh. UChat Songkran Day-Out will, of course, include various water-themed activities such as family- friendly games like Waterfun Family Zone, Water Gun Fun Zone, Giant Bubble Playland, and Rock Paper Scissors Water War. 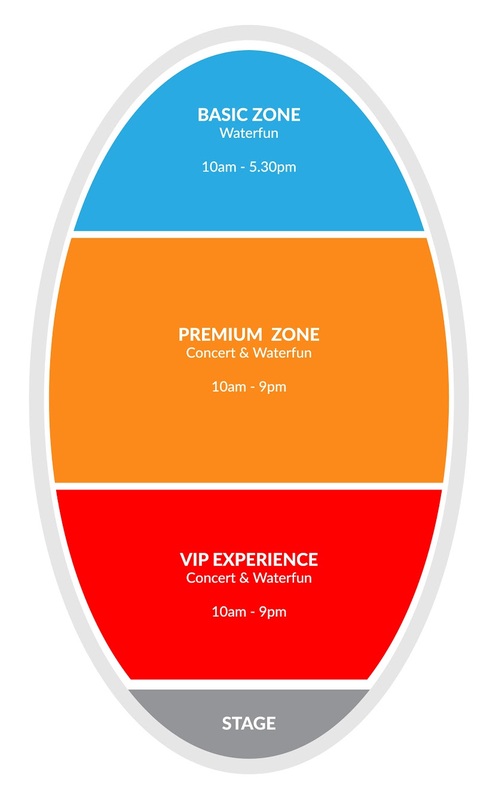 Those who only want to play waterfun activities without the concert can opt for the Basic Zone priced at RM49 (RM25 for Children). All tickets are only available through the UChat App, download it from Google Play Store or the App Store. VIP Experience ticket holders are entitled to join “Challenge the InstaCelebs” where they can team up with four other friends who have either VIP Experience or Premium Zone tickets to book a slot through the UChat app to challenge some of the 36 InstaCelebs who will be there for an epic water showdown.